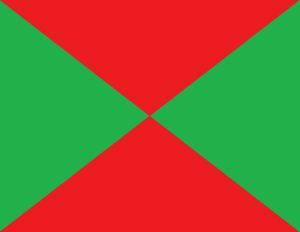 In the 1700s, ships were required to fly the flag or colors of the country of their origin so ship captains could see at a glance who was a friend and who might be an enemy on the high seas. Some dishonest captains, however, would fly the flags of other countries in order to trick some ships into coming closer so they could attack. 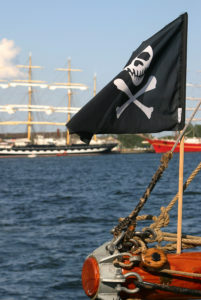 These attacking pirate ships would then show their correct flags or their true colors. So metaphorically, if people show their true colors, this means that they are showing what they really think or believe. After the recent health care bill passed by the House of Representatives, allegedly cutting many people off from health care, and giving more power to insurance companies, while giving tax breaks to other wealthy corporation, some liberal critics complained that the Republicans were showing their true colors. See one such blog post entitled “GOP shows true colors: Profits before people, always” here. Some of my friends and colleagues have also wondered if President Trump is showing his true colors by firing anyone who seems to challenge his authority. To be fair, conservative commentators have used to same phrase to criticize Democrats such as in the article “Obama Shows His True Colors as He Leaves Office” here. 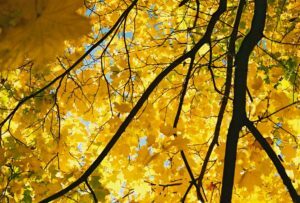 With many colors of flowers and trees popping out in this spring weather, I thought it was time to review a few metaphors of colors. Here is a sampling of some of the more striking metaphors of color. The United States has two dominant political parties, the Democrats and the Republicans. During presidential elections, each state will be won by either party. In the 1990s, television stations and newspapers struggled to show which party had won each state. Eventually the media began using two contrasting colors for the two parties, red for Republican-won states, and blue for Democrat-won states. In time, people began to shorten the names to simply red states and blue states. Technically, these terms are not metaphors. There is nothing intrinsically red or blue about any political party. In this case, the color-based origin of these political metaphors is completely arbitrary. I include them here for the sake of clarifying these examples. Example: The west coast of the United States has mostly blue states such as California, Oregon and Washington. However, the Midwest and South have many red states. 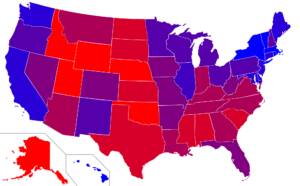 Since purple is a mixture of the colors red and blue, some media analysts say that states with an even mixture of Democratic and Republican voters are called purple states. Example: Virginia was formerly known as a red state, but it has been purple during the 2008, 2012 and 2016 elections. The color red has many metaphorical meanings. In addition to the political meaning explained above, the color red is commonly used to mean anger. Example: In the year 2000, many Democrats were seeing red when the Supreme Court voted to uphold George W. Bush’s election win although Al Gore had won the popular vote. Pens with red ink were formerly used to write down the amount of money that was lost in a business. When a business or government is losing more money than it is earning, we say that it is in red ink. Example: When the economy is in recession, many state governments get into red ink. They must begin to make budget cuts. 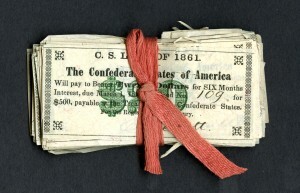 Many years ago, a kind of red-colored tape was used to hold together official government documents. Nowadays, the phrase red tape indicates the problems and delays one encounters when trying to get something done in a bureaucracy. Example: Many Americans are frustrated by all the red tape they must endure every time they deal with the government for taxes, licenses, passports, etc. As with the phrase red ink, the term redline originally meant to use red ink to highlight a problem. In some cases, the names of people who applied for a loan from a bank but did not qualify were crossed off a list with red line. Thus, to redline someone means to disqualify him or her from doing something. Example: In part, the banking crisis of 2008 was caused by banks giving loans to people who should have been redlined since they could not afford to pay the high mortgages. The rose flower has petals in beautiful shades of red. 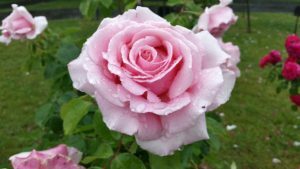 If we say something is rosy, this means that the situation is very good. Example: When a new president is elected, most people have rosy expectations of making positive changes for the country. In addition to meaning explained above that blue states are Democratic, the color blue is also used to indicate situations that are sad or depressing. Also, as mentioned in the chapter on Clothing, blue-collar workers are those who work in factories and make middle class wages. Example: In 2008, Barack Obama was able to turn some red states blue. Example: Many Republicans were feeling blue when Barack Obama won the election. Example: During the 2016 election, Donald Trump won many votes from blue-collar Democrats in the Midwest. If something is unexpected, it seems to fall from the blue sky. Thus we have an expression that something we were not expecting is out of the blue. Example: The rise of Hitler in World War II was not out of the blue; many Europeans knew he was gaining power in the 1930s. Many years ago in Spain, the term translated as blueblood meant someone who was very rich or from a high social class. This term may have started from the idea that blood looks blue in people with very fair skin especially when compared to people with darker skin. Example: After the American Revolution in the 1770s and 1780s, citizens did not want any more royal British bluebloods controlling their government; they wanted to elect their own presidents. The color green has many metaphorical meanings. 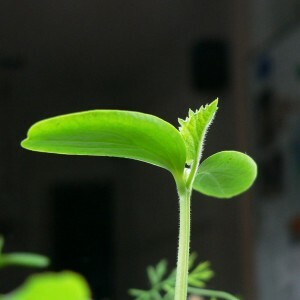 Since most plants are very green when they start to grow, the color green is used to indicate people who are not yet mature or experienced. Since the color green is associated with plant growth, it has been used to describe programs, organizations and governments that take good care of the environment. Subsequently, one who works in a business promoting environmental concerns can be called a green-collar worker. Finally, since American money is colored green, the term green can also be used to indicate financial gain. Example: Some critics said that Barack Obama was too green to be elected president since he did not have much executive experience. Example: Traditionally American-made cars have not been good at saving gas or reducing pollution. However, now the companies are stating to make greener cars with better gas mileage and less carbon dioxide emissions. Example: After the high oil and gas prices in 2008, many companies started making alternative energy, creating many green collar jobs. A person who is inexperienced can also be called a greenhorn, perhaps derived from animals with new horns when they are young. Example: Ronald Reagan was no greenhorn when it came to making public speeches. He was a famous Hollywood actor before becoming the governor of California and the president of the United States. A greenback is another word meaning American money, due to its color. Example: Americans seem to need more and more greenbacks to buy simple things like food and gasoline. In popular terms, to be yellow means to be afraid or cowardly, as in a soldier who is afraid to fight in a war. In politics, a leader may be called yellow if he or she is afraid to use military force against an enemy. Example: After the Japanese attack on Pearl Harbor in 1941, President Roosevelt was not yellow; he declared war on Japan the next day and immediately began plans to attack. In the 1890’s, a New York newspaper had a comic strip character who always wore yellow clothes. The Yellow Kid, as he was known, was so popular another newspaper created their own yellow characters to get more people to buy their newspaper. This competition became known as yellow journalism, later meaning the type of reporting relying on headlines, exaggerations and sensational stories to sell newspapers instead of trying to find all the facts. Example: American citizens should be careful about yellow journalism when it comes to learning the truth about the news. They should only read newspapers that tell the real truth about events. 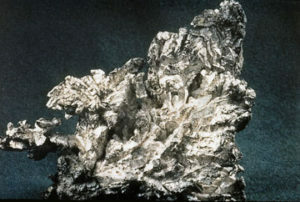 Silver and gold are both names for colors and names for precious metals. Thus they are used to describe things that are very valuable. There is an old expression that every cloud has a silver lining. This phrase is thought to come from the fact that even dark clouds may have sunlight coming through along the edge giving a silver look to it. This in turn means that even though the sky is dark, the sun is still there and will shine again. Metaphorically, a silver lining means that even when life is bad, good things can still happen so we need to stay hopeful. Example: When the economy is bad and many people lose their jobs, one silver lining is that prices for many items such as houses, cars and gasoline actually go down. If someone is described as being silver tongued, this means that the person is very good at speaking. Example: Barack Obama proved himself to be a silver-tongued politician during the 2008 presidential election. 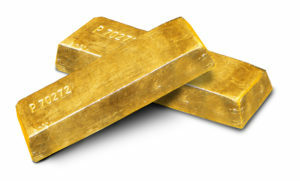 Gold is one of the most expensive metals and if something is called golden, this means that it is very valuable. Example: During Ronald Reagan’s presidency, Republicans thought he was the best president ever; he was absolutely golden. A young man with potential for doing great things is sometimes called a golden boy. Example: John F. Kennedy, Jr., the son of the late 35th U.S. president, was considered America’s golden boy until his tragic death in 1999 at the age of 38. When a business executive retires, he or she is often given a sum of money as a retirement gift. In some cases, these gifts amount to millions of dollars. These gifts are sometimes called golden parachutes because they allow the person to retire as if they are jumping from an airplane and landing safely in retirement. Example: American citizens become angry when they learn that some business executives get million-dollar golden parachutes even though their companies went bankrupt and investors lost a great deal of money. In many American elementary schools, children are given a gold star sticker on their schoolwork meaning that the work was very good. In popular terms, anything that has high quality can also be described as being gold star. Example: The Kennedy family has a gold-star reputation in the United States because of the many contributions their family members have made to American politics. When a soldier is killed in a war, his or her family receives a gold star made from paper that they can put in the front window of their home indicating their loss. Thus gold star families are those who have lost a family member in military service. Example: Some gold star families support political candidates who try to end wars; other gold star families support those who continue America’s military strength around the world. If someone cannot physically see colors, this is called being colorblind. Metaphorically, being colorblind means that one does not form opinions or make decisions based on a person’s race. Example: Did America become more colorblind after Barack Obama was elected the first black president? Or will race still an important issue in society for many years to come? If a person is looking off-color, this means he or shoe does not have the usual color of healthy skin. In jewelry, a jewel that is off-color is less valuable because it is not as pure as other examples of that type of gem. In popular terms, a joke or story is considered off color if it is not accepted by normal society, usually because it has some sexual content. Example: Good politicians are careful not to tell any off-color stories since many people will be offended. If you hear of any unusual color metaphors in the news, please let me know. Questions and comments are always welcome!